The January issue is dedicated to "making time". The first thing I am making time for is controlling my spending, my time spending that is. Time is a precious resource that we unfortunately can never retrieve. 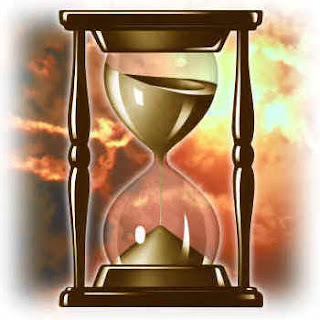 I have always loved the popular soap opera tag line: " Like sand through the hour glass, so are the days of our lives. Since time is always moving, it is important to use it wisely and never take it for granted. So for the entire month of January I decided to track my spending and evaluate my return on investment. What are you doing with the time that has been granted to you? Where is your sand going? Editor's Journal: Time to begin!